Anonymous, 26 Mar 2014Can someone pls tel me howz the camera of XOLO Q3000? Is it good enough? I'm planning to buy ... moreGreat camera quality. 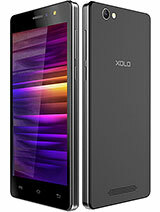 I bought Xolo q3000 about 4days back. 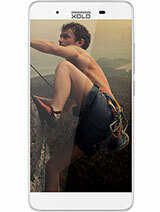 Its a wonderful phablet below 20000 bucks. Great camera both front and back, wonderful screen, smooth touch, very fast, zero lags and a great battery. The only cons I found is the loudspeaker volume is a bit on lower side. Though the quality of sound is much better with headphones. I think its worth buying. Its my honest review. Anonymous, 26 Mar 2014Can someone pls tel me howz the camera of XOLO Q3000? Is it good enough? 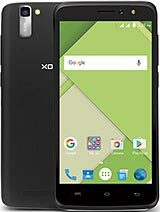 I'm planning to buy ... moreCamera Of Xolo Q3000 is not good (Worst). 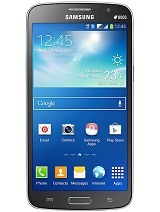 Buy Samsung Galaxy Grand2. It is having same price. Or Buy S4 having 10,000 more. 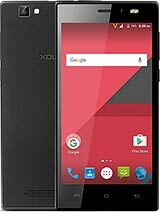 I am using this xolo Q3000. 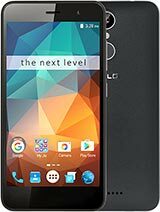 Please do not buy this phone. Buy grand 2 for same price and reputed brand. Can someone pls tel me howz the camera of XOLO Q3000? Is it good enough? I'm planning to buy one soon. need some advice. Pls help. I bought this phone for rs 18500, and used it for just six days. Then the power button become intermittent. Next day the phone was dead. Took it to service center, they gave an estimate for rs 11500 for repairs. Saying that there is moisture damage. I refused and took it back, and the phone miraculously started working. After a week the battery was not getting charged. Service center asking for rs 2000, but not agreed to. All issues reported to customer care, but no use. The back pannel of the phone not fitting properly out of the box. Poor quality built, battery used to last about 6 hours, no customer care, service center is cheats, Worst experience ever, will never by anything branded xolo. Bought a Gionee E6, after throwing away the Xolo Q 3000. I am fully satisfied with the E6, an amazing product. worst phone & brand. better to donate money than to buy these craps!! simply dumping china junks without any quality check. my phone stopped working just after 7 days!! Actually i also noticed both the problems, Even i noticed that the audio quality is poor in bluetooth and the second issue, i had a problem after installing an update, The proximity sensor wont work as expected after installing the update, I submitted my phone on 1st mar 2014, and till now no response from the customer service, Very very bad service. akshita, 23 Mar 2014I am planning to buy xolo Q3000... After read so many reviews getting confusion only... Plz te... moreXOLO Q3000 is cheaper and more better in battery life and camera.For me its quality not quantity! CPU is very good by MTK6589 and better than Qualcomm. And GPU is 8 core PowerVR SGX544MP2 which is best than Mali 400.
aneesh, 13 Mar 2014i am using q 3000 for 3 wks and i had faced lots of problems.autorotation not working .touch s... moreI am planning to buy xolo Q3000... After read so many reviews getting confusion only... Plz tell me abt mobile fully.. The mobile internal memory is 16 GB, however you cannot copy software in excess of 2 GB and your mobile memory would start showing low unless you insert a SD Card. This is a perineal problem with all XOLOs. Likewise the screen goes blank as you remove it from your ear, making it impossible to go to contract and provide other information to the caller if you so desire. Rahul, 23 Mar 2014Can anybody help me to solve the issue in XOLO Q3000 that on 3G netpack; play store works very... morechange acces point then play store will working. Can anybody help me to solve the issue in XOLO Q3000 that on 3G netpack; play store works very well but on 2g net; Play Store always shows "connection failed please retry" it shows again and again. Please advice if anybody knows the solution to sort out this issue. As u mentioned tht screen gets black wen u take away this phone from ur ear. Why does this happens, becuase u keep brightness on auto mode.. Here what happens wen u disconnect call aftr that bcoz of brightness's auto mode phone takes time to adjust with room light or outside light....m also using same phone currently and same thing used to happen with my Q800. AnonD-245869, 21 Mar 2014Hi Madhav, I'm using this phone since a month, n i spoke to customer care also on this and ... moreSame for me by kasi. AnonD-245869, 21 Mar 2014Hi Madhav, I'm using this phone since a month, n i spoke to customer care also on this and ... moreI am still using 3g on 2nd vodafone micro sim. 3g can be work on both sim but not on same time. i.e If you want to use 3g on 2nd microsim you can use but at the same time you can not use on 1st sim card. I'm using this phone since a month, n i spoke to customer care also on this and got to know that only SIM1 (which is regular size sim) works for 3G, and sim2 (MicroSim) doesn't support 3G. eSexologist.com, 21 Mar 2014I would like to know whether both SIM support 3G? Yes Both SIM Card supports 3G. But if you decided to buy this I advice you to buy Samsung Grand 2 Or S4. Because camera or xolo Q3000 is not good. (Branded Phone Grand 2 is almost same price and S4 is approx 10K more). I would like to know whether both SIM support 3G?